If you’ve been reading my blog for a while now, you might know that the wonderfully talented Laura at Circle of Pine Trees is a good friend of mine. In the years since (oh, one or two I would guess, if you’re asking, definitely not more than a decade, ahem) that love of cooking has developed for both of us into a love of cooking with natural ingredients; often either home grown or foraged. So we thought it was high time we got together and collaborated to share some recipes, growing tips and foraging ideas with each other – and any of you dear readers who might be interested. 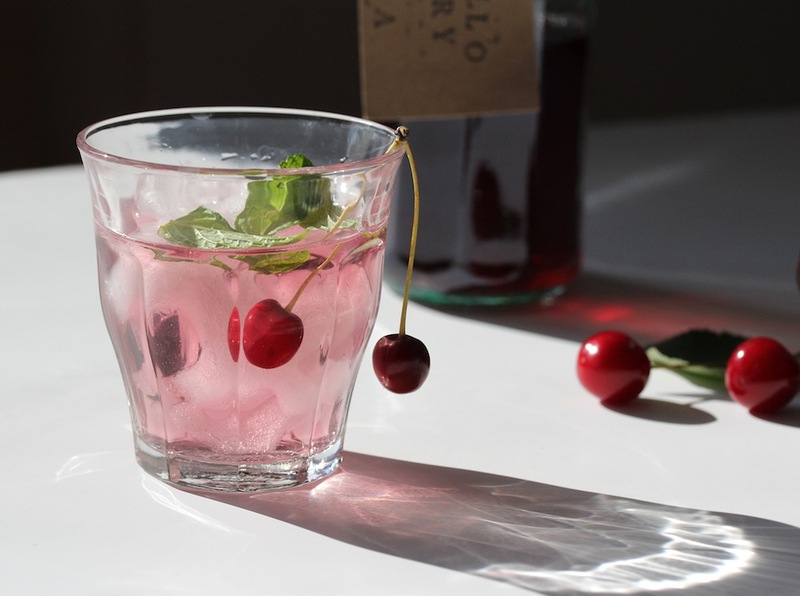 Here then, as a first installment for our new series Grow, Forage, Cook, is my recipe for morello cherry vodka. When I removed the giant cactus from the front garden a few years back, I planted a morello cherry tree in its place. Morello cherries are wonderful because they’re rather bitter and don’t taste good until you cook them. In itself, not necessarily a plus point, but it means the birds don’t eat them and you can use every single last one on the tree. This year, the first year I got any fruit, it wasn’t a bumper crop. (The tree is still very young. Barely into adolescence in tree years.) But it was perfectly sized for a batch of morello cherry vodka. 1. Cut all the cherries in half. I leave the stones in, which gives a slightly almondy flavour to the vodka as well, but you could take the stones out if that doesn’t sound pleasant. 2. 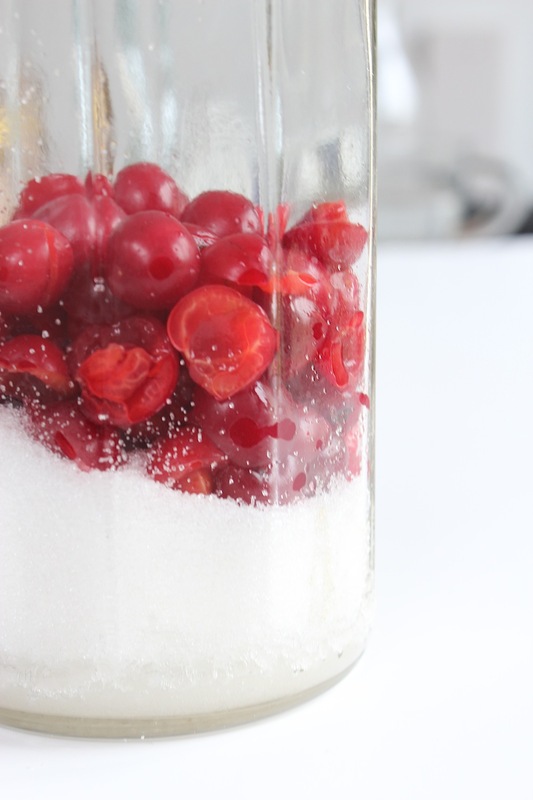 Fill your storage bottle a third full with sugar (you can simply re-use the original vodka bottle if it has a screw lid. 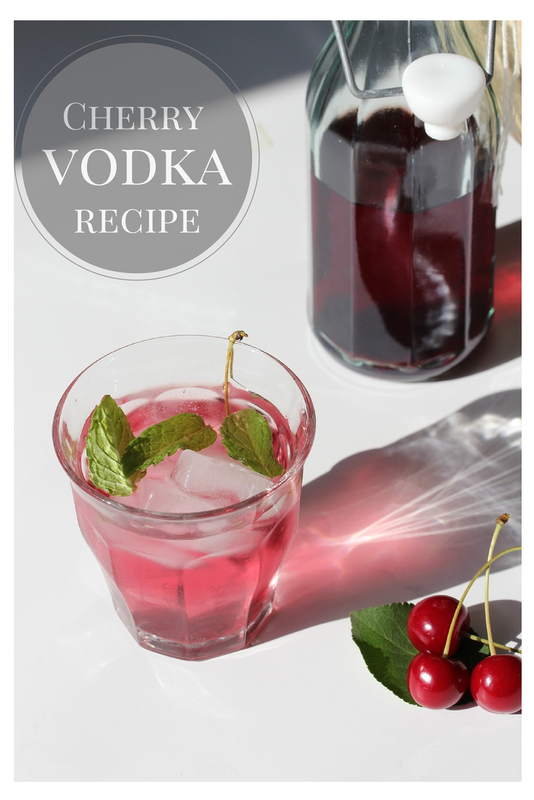 Just drink remove a little bit of of the vodka first) and then push the cherries in on top. …and then seal the lid and give it a really good shake. 5. If you can, leave it for a year, even better leave it for two years to really infuse together. 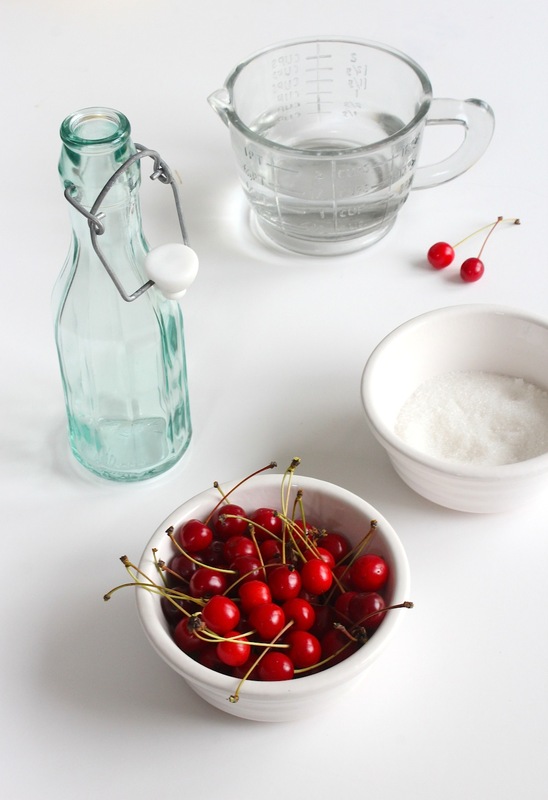 Once you’re ready to drink it, strain the liquid through a sieve to remove the vodka-soaked cherries. Isn’t it a phenomenal colour?! 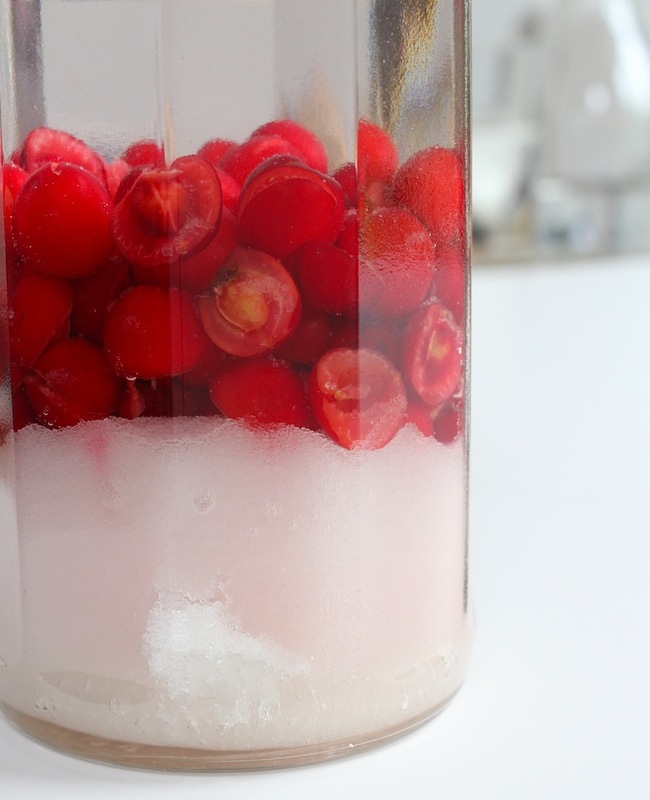 So, five minutes prep and a mere two years in waiting and you’ve got some cherry vodka. What to do with it then? you might well ask. But the classier option is to use it in a cocktail. Or, for a more boozy / celebratory alternative, you could put a measure of the cherry vodka in a champagne glass and top with champagne. Or, of course, you could just use it in place of normal vodka in about a million other cocktail recipes and make them a wonderful pink colour. 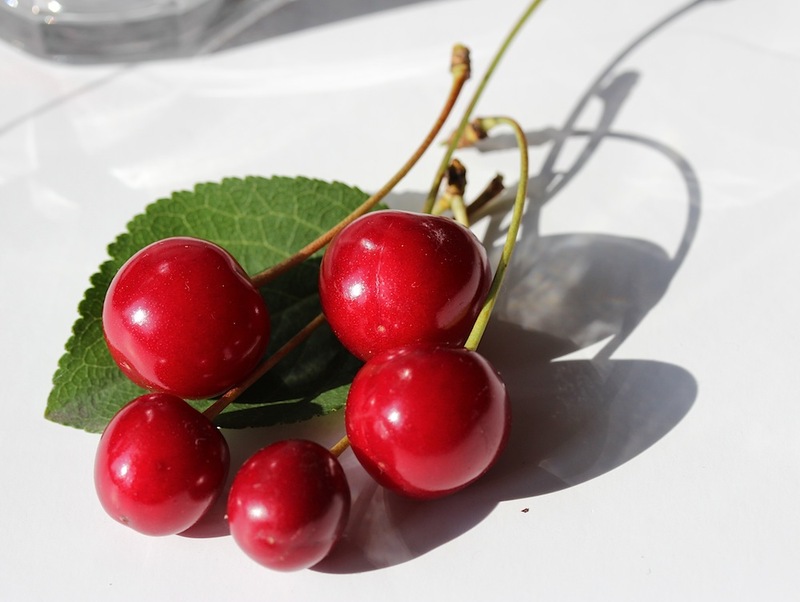 Morello cherries; one of the fakes-looking fruits in the world? Let me know if you have a go, I’d love to hear any other wonderful concoctions you make with it! Ooh! Looking forward to more of these types of posts!!!!! Ha ha, what do you mean four years is too long to wait for a little drink?! It is great to know that you have a blogger buddy to do something that you love! I am looking forward to see now. Thanks Eileen, I know, the cherries look so tasty don’t they? My husband kept eating them not really believing me that they would be sour. Every time the look on his face was classic! Thanks Bee. Laura next, who will surely have something extremely delicious to share! 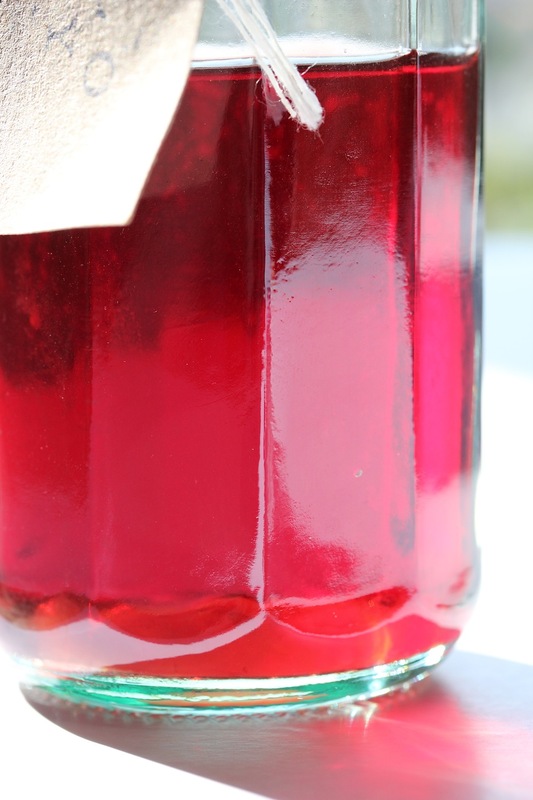 I made cherry brandy last year and dipped the ‘used’ cherries in chocolate afterwards….delicious! Oooh, that is a great idea! 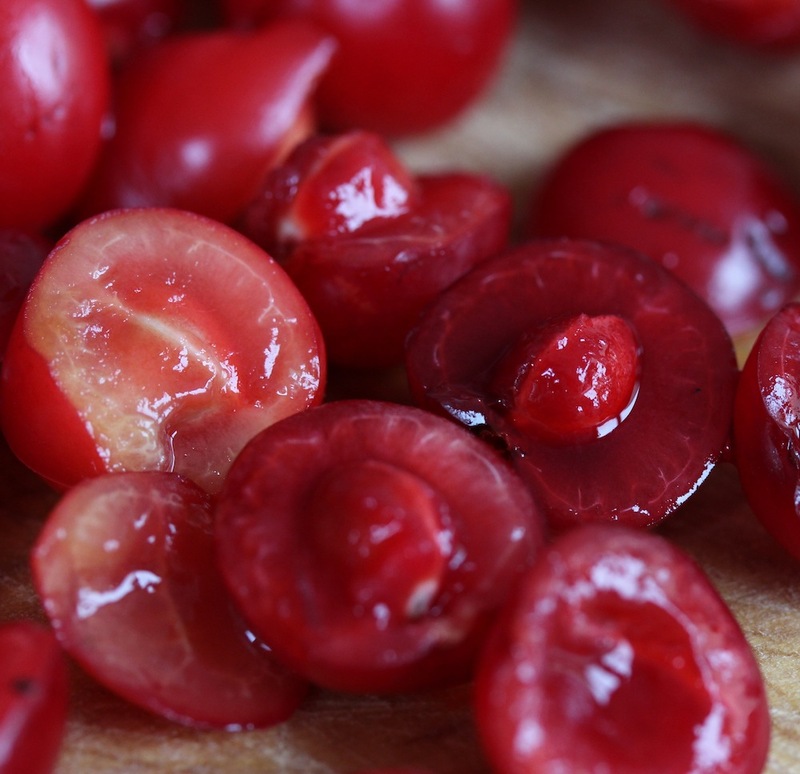 I was wondering about using the cherries for something afterwards, but the hubby (who I forced to taste one, on the grounds that I was breastfeeding) declared they were “utterly disgusting” and said they just tasted of pure vodka! But perhaps the sweetness of chocolate would have solved all that! I’m looking forward to following along on your foraging and growing journey. I planted a tiny morello cherry tree in my front garden last year. It hasn’t grown much yet, but it does have green leaves, which is good enough for now. Thanks CJ. My morello has hardly grown at all, actually, in the two years it’s been in my front garden. The first year I didn’t get a single cherry, so I was a bit worried about it, but this year I had a nice handful. I guess it just takes them a little time to settle in! Oh! I must thank Laura for introducing you to me. You are funny and entertaining and I am so looking forward to reading more of your stuff…. As for that tree… I will definitely plant one (if they survive in the suburbs of Montreal, Canada) when I move to my new abode! Thanks for this post! Thanks Dale, what a lovely comment! So glad you enjoyed the post. Oh yes, I do recommend the lovely tree, but if it’s no good for growing round your parts (which I’m not sure about, I’m afraid) I think any sort of cherry tree is pretty lovely and I’m sure it would make a good vodka too!